This Journaling Delight set has metal borders. It is very ornate and beautiful. This has a matching .. This relaxing beach scene looks like is it placed inside a postage stamp. It is very cool. This has .. It's time for a day at the beach. 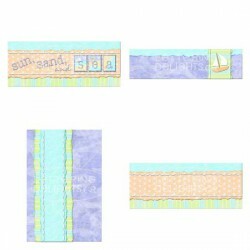 This fun Journaling Delight set has sand and beach accessories lik..
Just like a day at the beach... this set is fun in the sun!.. Creepy bats are out in force this halloween. 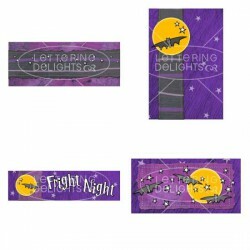 Scare up some creative scrapbook layouts, greeting car.. 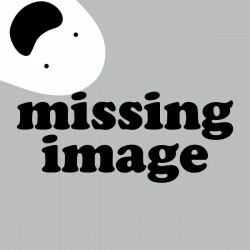 Need that perfect image to "frame" that adorable photo of your baby? Look no further. 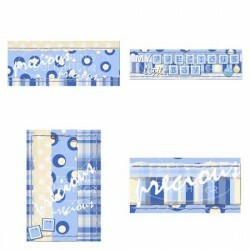 This set inclu..
Ring in the new year with this Baby New Year Journaling Delight set. Used with the matching alphabet.. 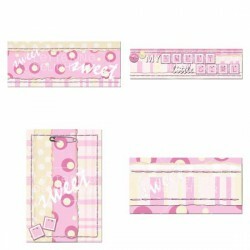 This Journaling Delights set if very adorable. Filled with pinks, blues and even a few yellows. It's..
Baa baa black sheep, have you any wool ... This Journaling Delight set represents this fun nursery r.. Invent lovely scrapbook journaling with this set of corners, title boxes, photo boxes, tags and topp..